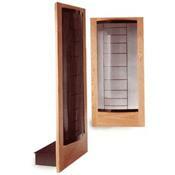 Recycled Stereo Plus: Martin-Logan CLS IIa Full-range electrostatic loudspeakers in stock now. 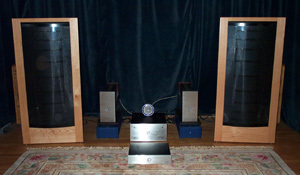 Martin-Logan CLS IIa Full-range electrostatic loudspeakers in stock now. The Martin-Logan CLS IIz is the most revealingly transparent loudspeaker I have ever heard, the clarity is stunning. What impressed me most about the CLS IIz was the stereo imagery was spectacularly precise. Instruments and voices hung in space between and behind the speakers with a natural perspective. The CLS stands for Curvilinear Line Source. 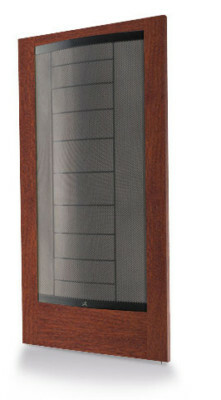 Most people who see and hear this speaker are blown away by its combination of visual splendor and sonic capabilities. Non-audiophiles are consistently astounded that such a product can even exist. If you're out to impress your friends, it's hard to think of a better product to do so with. These are the best speaker I have ever heard. Description: Full-range, single-driver, electrostatic loudspeaker. Dispersion: 30 degrees horizontal, 4' vertical line source. Power Handling: 200W, 60V peak maximum. Nominal impedance: 4 ohms (1987-1994). Minimum impedance: 1.6 ohms (1987-1992). Dimensions: 28" W x 57.5" H x 14.5" D. Weight: 67 lbs each.